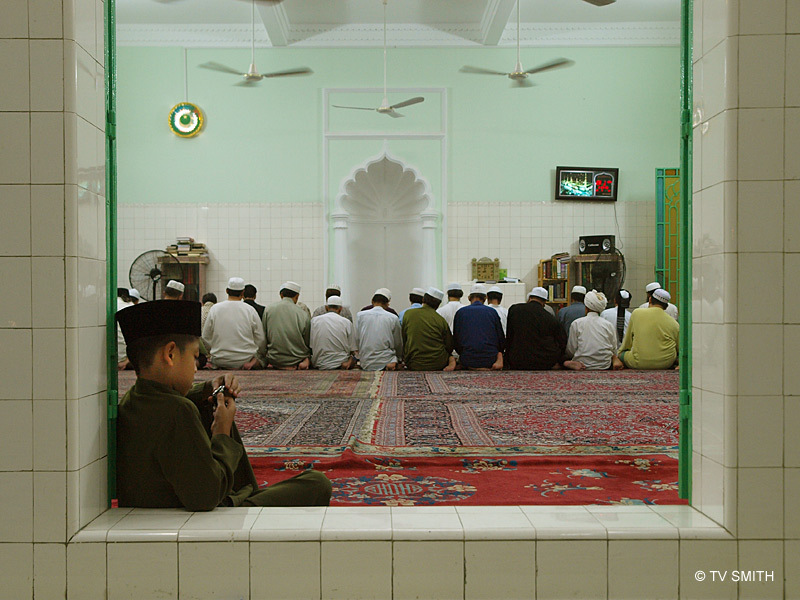 Saigon, 29th September 2008: At A Little Mosque In Saigon, a little boy waits for Eid al-Fitr as the adults engage in prayers. there are also Indonesians, Malays, Pakistanis, Yemenis, Omanis and North Africans. Selamat Hari Raya from Vietnam.